Analytics is at the core of any marketing strategy, and social media marketing, of course, is no exception. Quite the opposite - digital marketing, with its array of platforms, ad and promotional options might actually require more measurement and analysis than any other marketing activity. In order to maximize your campaign performance, you need to measure your every effort. As the saying goes - what can't be measured, can't be improved. For this reason, I've put together a list of powerful social media analytics tools to benefit your campaigns. Used well, these apps will help you clarify how good your social media marketing strategy is, and highlight any problems and tendencies which are impeding your success. 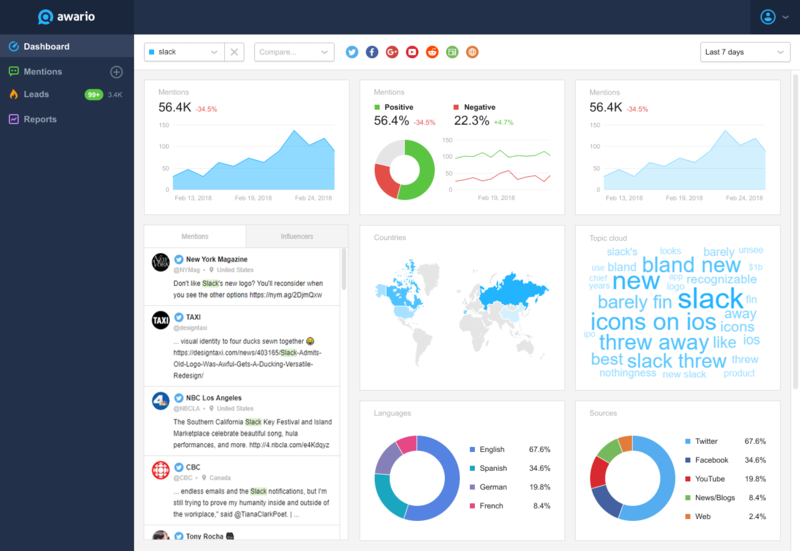 Awario is a social media monitoring tool with powerful analytics elements. The tool analyzes online mentions of your business in order to provide you with statistics on mention growth, reach, a list of mentions’ languages and locations, their sentiment and where on the web they're occurring. 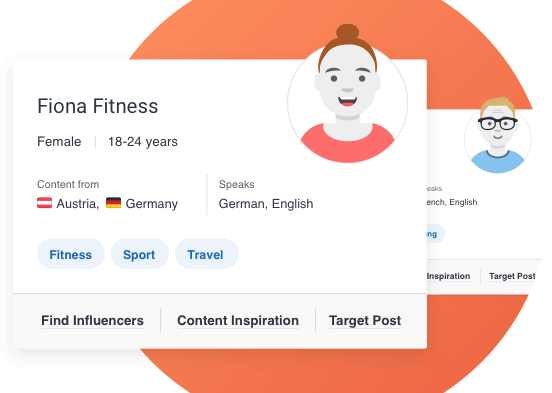 Awario also analyzes people on social media who’ve used your keywords - be they your brand keywords or your industry keywords - and displays a list of social media influencers in your niche. And by creating alerts (e.g., one for your brand and another two for your main competitors), you can get a step-by-step comparison of your social media performance against that of your competition. Awario can also display a “share of voice” graph, which shows how much 'online buzz' your business is generating by comparison to your main competitors. Squarelovin is an analytics tool made specifically for Instagram - the tool tracks likes and followers, reviews post performance and measures overall profile engagement. It also highlights the best times to post, best filters to use and hashtags, along with a history of your posts, broken down by hour. You can also get more insight into your audience’s preferences and interests. 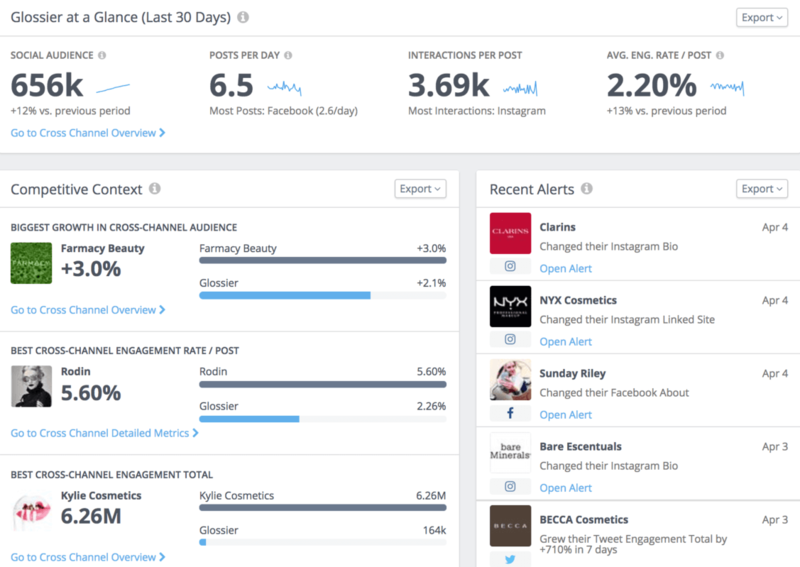 Rival IQ analyzes Facebook and Instagram ads separately, to help ensure that you’re getting the most out of them, while it can also provide competitive insight on the same, so that you can see what's working for your competition, and learn from their tactics. For Instagram, the tool shows demographics, unfollowers and active times for your audience. 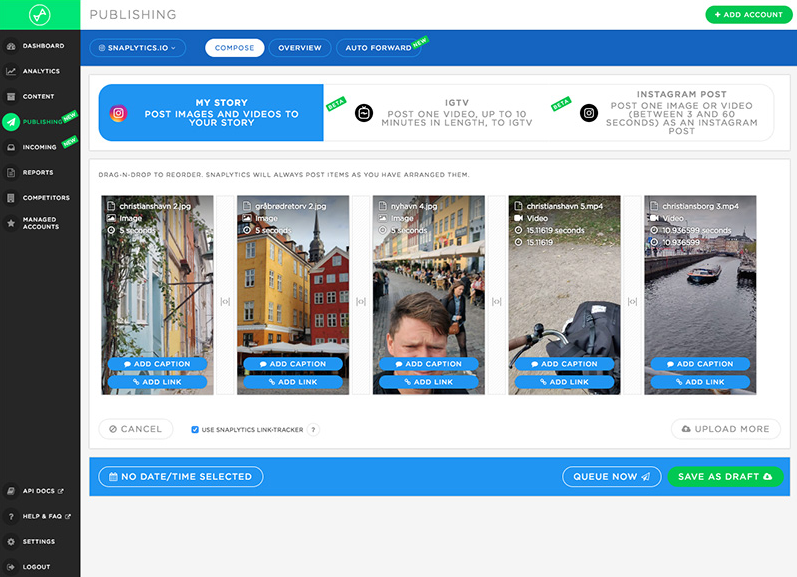 Keyhole is a social media monitoring tool which also provides deep analytics for Twitter and Instagram. 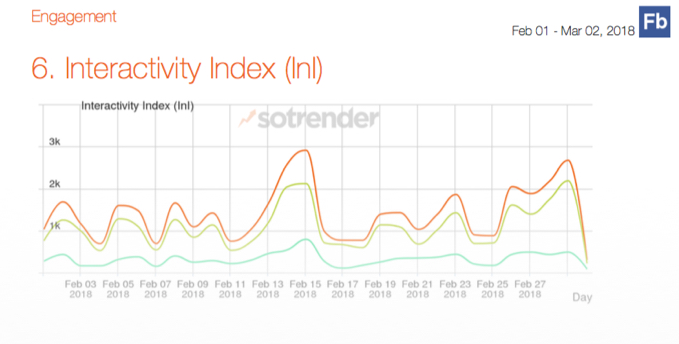 The app provides access to a range of metrics, all in visually appealing graphs - at a glance, for example, you can learn the total number of posts which include your target keywords, and how mention volume has changed over time. 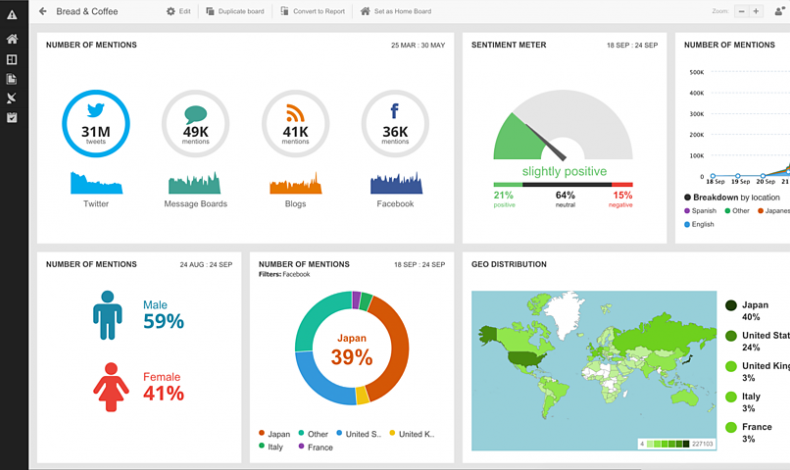 Keyhole also displays engagement data, sentiment, hashtag usage trends, and reach stats. Hootsuite is one of the most popular social media management tools, and analytics is a big part of what the platform provides. 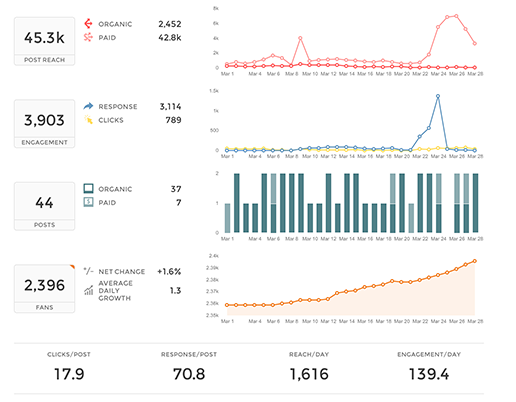 Through Hootsuite's various tools, you can get key metrics from Twitter, Facebook, and Instagram, including audience and post insights and performance data, all presented in easy to use graphs and charts. 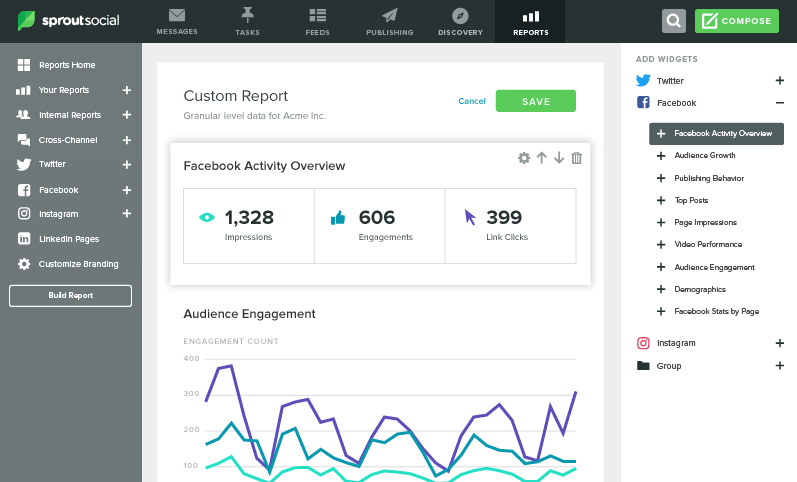 In addition to this, Hootsuite also provides helpful tracking and performance insights for larger social teams - Hootsuite's team management tools provide data on various elements, including how long it takes for mentions, comments and private messages to be responded to and resolved. 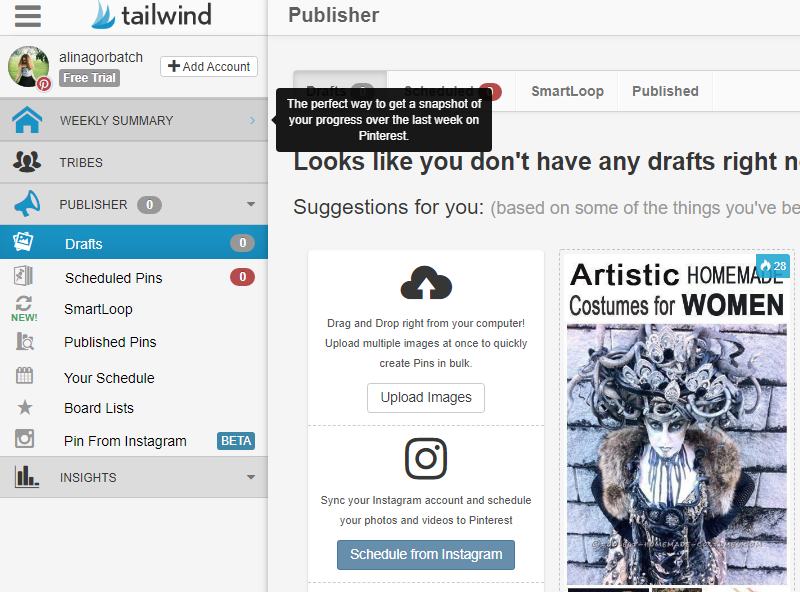 Tailwind is a management and analytics tool for Pinterest and Instagram - Tailwind enables you to track followers, boards, repins, likes and comments. The tool also provides insight into audience engagement, including when your followers are most active, helping to optimize performance. The app also analyzes trends, ad revenue and traffic from Pinterest with an easy Google Analytics integration. 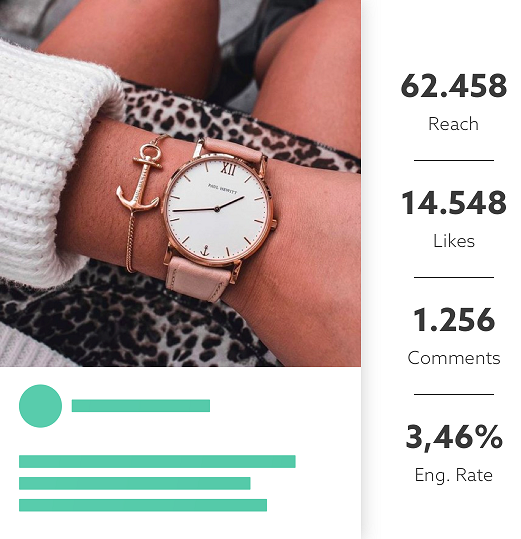 Socialbakers analyzes your audience's interests, the content that performs best, finds social media influencers, monitors mentions of your brand and measures the sentiment behind the mentions. Based on the data it gathers, Socialbakers tells you who your buying personas are. As you can see, there are plenty of social media analytics tools to choose from. I encourage you to try as many as possible - thankfully, most of them have a free trial - and choose the ones that are best for your business. Your choice will depend on your budget, your preferred social platforms, and of course, your goals.